There are several crucial factors that contribute to making your first trade show a success. Planning, advertising, and displays all have one common factor; you should start planning 3 months ahead of a trade show to make it right. This ensures that all the factors work together perfectly to stage a great trade show. 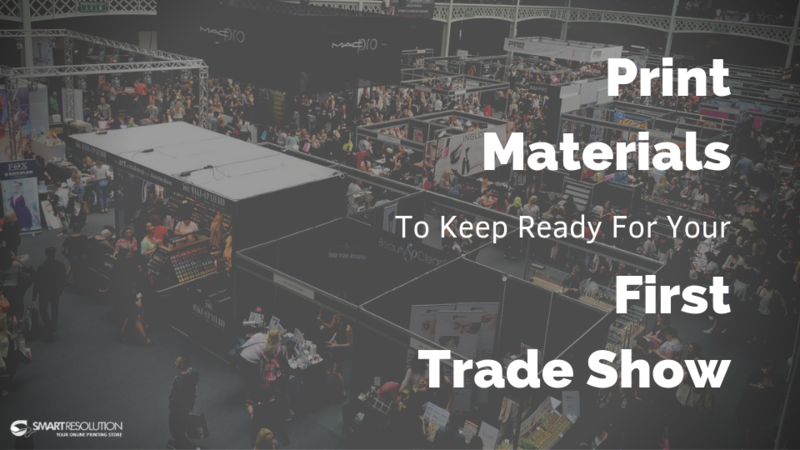 Marketing your upcoming trade show has to be your number one priority. Without doing proper marketing, your trade show won’t attract the right audience, or worse, any kind of audience. The display you put on at the trade show decides whether you’ll be making or breaking your success. Business cards can help open a channel of communication for your target audience to get in touch with your company. Go with a generic version that has no name printed. This way, if someone runs out of business cards, or if a potential customer needs to contact someone specifically, you can simply write in the name of the contact person while giving out the card. Sending out postcards prior to the trade show will help you get your target audience to receive notice of your event. Make sure that it includes a warm and pleasing greeting along with the date, time and address of the event venue. Also, remember to include your booth number in order to make it easy for your audience to locate you. Business cards certainly help you provide your contact information to the guests, but lead cards can help you collect information about your visitors. If you’re collecting lead cards, ensure that you do follow up with the guests you obtained information from as soon as the trade show is over. Brochures are an effective way to present key information about your company in a compact, easy-to-read piece of paper. The brochure should be designed in a way that it reflects the values and details of your company and staff. These brochures should contain answers to potential questions your visitors may have. Nothing else expresses your commitment towards your clients than being open to taking up orders from them. This applies to trade shows as well. Having order forms available indicates that you are prepared and ensures that you lose no client to your competitor just because they can’t place an order right away. Pulling in the audience to your booth completely relies on the attention-grabbing ability of your booth’s design. Creating a visual appeal with the help of signage can attract people that didn’t plan on visiting your booth in the first place. For example, set the theme and color of your booth that speaks about the nature and values of your company. Your presentation, down to the type of paper that is used, can affect how your organization is viewed; ensure that all your trade show print materials are of superior quality so that they put up your company’s best “print” forward. Once you’re done planning the requirements, the next thing is deciding where to get all your print materials printed. Contact us to know what Smart Resolution is capable of when it comes to custom print materials. We’re here to answer all your questions regarding business printing requirements.